I recently completed a year-long project that proved to be a source of endlessly fascination images and a constantly rewarding experience. The idea was to take at least one picture per day and keep this up for one year. The concept sounds simple enough: just discover a subject each day worthy of pointing the camera at. However, in reality, like all apparently simply ideas, the practice took rather more discipline. For one thing I had to remember to take a picture each day - and occasionally at, say, 11.30pm, the dreadful realisation would come to me that I hadn't taken one! Panic-stations - find something - anything - and just do it. Having to work quickly and spontaneously frequently provided amazing material and yes, sometimes very strange-looking images which could be revisited and developed later. It doesn't matter when in the year to start - but the main thing is to start. The object of the exercise wasn't to simply plod away, mechanically taking a picture each day for 365 days. Rather I wanted to find something every day that would be 'worthy', with the ultimate objective of printing at least one image from each day to make a series of 12 books - one for each month. The subject matter and the resulting images, would have to be good enough to be included in the books - and what's more the books would be seen by others, whether fellow photographers, friends, family or guests attending one of my talks. 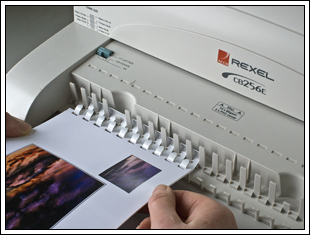 As quick method of presentation, I used a comb-binder machine to produce the 12 books. For a more prestigious appearance, for, say, a 'best of' selection of pictures or a book showing a more specific project, I use 'Book Art'. This is a heavier-duty, attractive and professional-looking alternative to comb-binding. 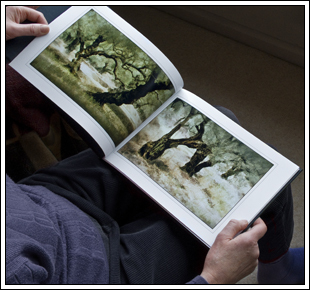 'Book Art' is available from digital fine-art paper specialists, Permajet Ltd of Warwick (www.permajet.com). 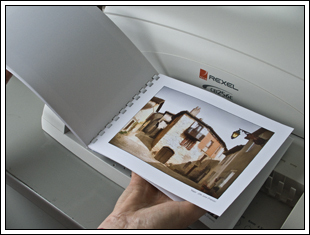 The product is a re-usable A4 size, hard-cover loose-leaf style book with an integral grip-binder system. It's simplicity itself to use. Once the prints are made to either single or double-sided paper ('Book Art' includes 10 sheets of Permajet Double-Sided Lustre 285g paper by the way), it's easy to fit the pages between the transparent fly-leaves. The pages and fly-leaves are stapled together. When the pages are inserted into the spine, two self-adhesive strips secure everything in place and the book is complete. 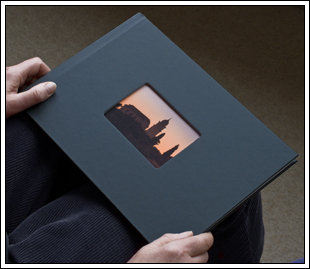 To further grace your coffee table, 'Book Art' is supplied complete with a 'window aperture' pre-cut in the front cover to reveal a tantalising glimpse of your chosen cover picture as shown below. As you can imagine, taking at least one picture each day was quite a discipline but one I immensely enjoyed. When the final day of the project dawned and I made the last exposure for the project, there was a sense of relief - I'd made it. However the following days and weeks lacked that essential drive and sense of mission. Could I do it again? Well yes, but not in the same way (otherwise I would probably find myself repeating ideas to provide a quick answer on days when I lacked inspiration). If I wanted to tackle such a project again I would have to approach it from another angle - perhaps by deciding upon a strong theme to link the images. 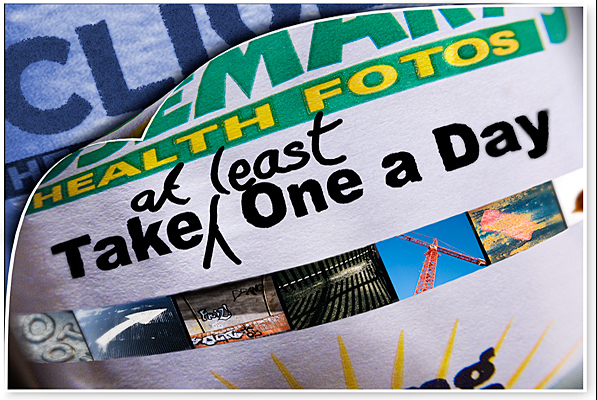 I can heartily recommend 'Taking One a Day' to improve your photographic health, to boost your seeing, to stimulate your ideas, to give you at least 365 more pictures and to present the resulting images in books - not only to amaze your friends but also to impress your colleagues.